Why would I compare the links-to-links-to-links experience of the web to a fractal? Even when I say it here, this should almost be obvious – at least to me! When you dive into a fractal generator, for an infinite amount of time you can go deeper and deeper and deeper. It never ends – and it’s beautiful! This reminds me of what happens to me on the web, my experience of linking to linking to linking. I start to pursue a topic and then explore another branch, and in an infinite way, I can click link-to-link-to-link, diving into what feels to me like the fractal of the web, exhilarating as an unending roller-coaster. For example, I might start out looking at SEMAT, but end up reading about Myrddin Wyllt on Wikipedia – the Welsh legendary prophet and madman. And there is never any end. It is all connected and interdependent. Looking at this from a Buddhist framework, does this mean I am becoming “eternalist” in my thinking? Not at all. At the center of the eternalist point of view is the idea that things are unchanging, free of causes and conditions. But even in the simplest example, if you even just look at the cup of coffee next to your laptop in the morning (or, ahem, if I do), then you can see evidence of things that change. The cup is full. I call it “cup of coffee.” I drink it. It is empty. I think of it as lacking coffee and dirty. On the way to the kitchen, I drop that thing I call “a dirty cup” on the floor. The lip of the cup chips. The cup has changed. Maybe it smashes to pieces and becomes “garbage.” I have an emotional reaction to it because I liked the cup because of how I have interacted with it over time. You might argue that fractals don’t change on the meta level and so this disproves the idea that all compounded phenomena are impermanent. But there is a great example from Buddhism/Hinduism called “The Net of Indra” which is a net of jewels and within the jewels all the other jewels are reflected. 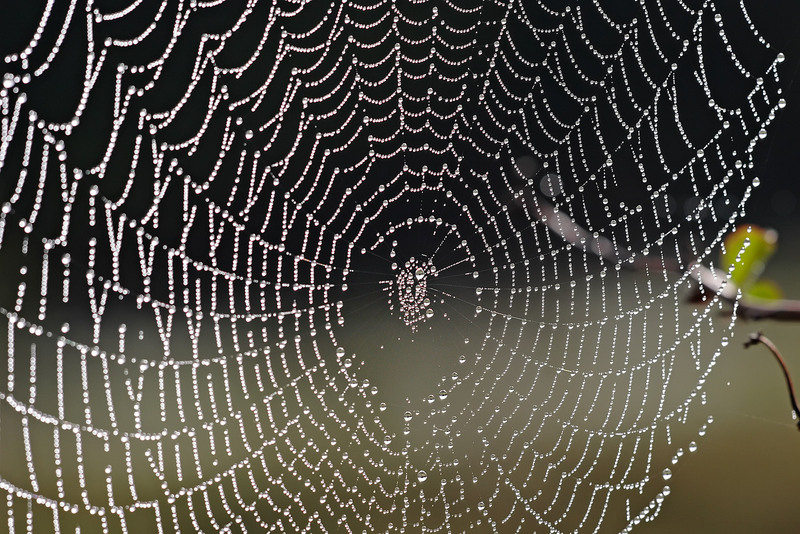 In some ways, you could compare to a spider’s web covered with dewdrops – only stretching into forever. What is much less known in our Western world today is that the discipline of meditation– just watching — led the Buddha to a profound realization of the human experience as a Complex Adaptive System. The Buddha realized the nature of complex causality from the inside out, and this insight came to be known as Dependent Origination. Fractals remind me of what Buddhists refer to as “Samsara” – the cycle of existence. While mind is focused outwards, lost in its projections, it is similar to being in a fractal – only we don’t realize that. We constantly link to link to link in the reality we encounter every day, a million interconnections and causes and conditions. Even if a scholar would take issue with what the blogger above proposes, I would suggest that you can say that the Buddha entered what we might think of as a meta state in which he suddenly realized the fractal that is Samsara. So while I am not saying that reality may necessarily *function* like a fractal, I would say that our experience of it is *fractal-like*. Now, I find it interesting to see that this Roy Meurer is mixing business with Buddhism. Himalayan Buddhists might find this a very, very dangerous pre-occupation, I do believe, maybe. They always admonish us not to mix Dharma and business as business is about ordinary grasping. But I hope that once we humans achieve a certain level of human development, once we begin to realize, this changes and becomes not true. The reason or the causes and conditions behind my falling into this branch of Samsara’s fractal, what I call a “thread,” is, ultimately, my wondering if we could start to transcend the suffering in the workplace by working differently? By doing as Alistair Cockburn talks about and not having to name the process? Could we work in an enlightened way and then, since this is what we do a good portion of our time, start to achieve realization in this way? Samsara is mind looking outwardly lost in its projections. Nirvana is mind looking inwardly, realizing its nature. OGG file (not embed-able) – very cool example. I just got an “aha” from a certain person’s book. 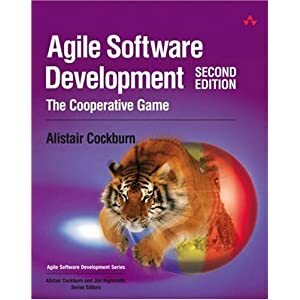 It gets right at the heart of why I am so interested in Agile. I will give some conceptualizing about it here a shot, even though actually even writing down such concepts seems a bit fishy to me. Fishy because it means I’m creating meaning, forming concepts, and maybe it is best to leave such things in themselves, pure, undisturbed by my own pondering. And I haven’t really “cooked” on these thoughts so much, yet, so in a way, it is a disservice to write them down, rough and unrefined through editing and sorting. But perhaps I can think through by the exercise, itself, of expressing such ideas. How do we communicate meaning to each other? What this says to me is that the person conceptualizing is present when describing reality and as a result, you don’t hear the reality that the writer or singer attempts to describe. You just hear the writer/singer as a phenomenon, an appearance. 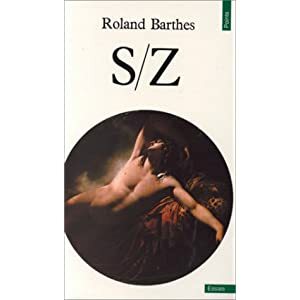 Roland Barthes in S/Z talks about this when he describes “readerly” versus “writerly” texts. 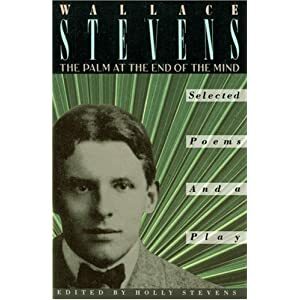 Wallace Stevens poems are an example of “writerly” texts because they demand the one reading to “write” their own meaning, that they inspire in that way. “Readerly” texts are like this essay. Something with a more definitive meaning that is intended, pretending to have the ability to describe reality, which, at the end, may be totally indescribable. Tamina in this chapter encourages bar patrons to talk about themselves, to express and freely formulate all of their concepts about reality chatting with her. And so, because she leaves the communications she receives as they are, she becomes popular. Beyond words, beyond thought, beyond description, the profound perfection of wisdom (Prajnaparamita), unborn, unceasing, the very essence of space, yet it can be experienced by our own discriminating awareness wisdom. Relative and absolute truth: the appearance and how we encounter the appearance and react to it – and then the nature of such appearances. 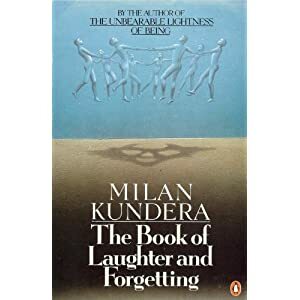 Phenomena appear before our senses, one level of mind in a flash names that appearance and before we know it, silently, swiftly, we’ve passed judgment even if we choose to examine the appearance more thoroughly. That immediate judgment is there. Understanding this, consider the Scrum meeting, constrained to 15 minutes and no stories. Just the essential points. When it is working and there is no grand ego there to take over in a way that lessens the rest, there’s a kind of warmth that glows between team members. I’m thinking about what a “Master” really is and of what “mastery” itself is composed. By the way, I just moved HH Penor Rinpoche to the top out of respect. * Inner realization that can be recognized by others who outwardly observe the one who has realized. * This realization not necessarily coming easily, but through practice. * Realization must be based on experience and feedback loops. * Time spent with that which is realized. * Honing that which is realized through practice and through teaching. * Practice not necessarily being composed of just repeating the same thing again and again, but rather through trying and making mistakes. * What is realized must be “important” – meaning – inform the evolutionary paths of beings in some way. Let’s test these, in a minute, but first, to look at “mastery” in and of itself. But did the Buddha have a master at the point at which he achieved enlightenment? Actually, before he began the meditation that lead to his realization, Buddha had followed aestheticism and teachings from masters of a variety of spiritual approaches. None of those lead him to enlightenment. The event that pushed him onto the path of enlightenment was when an innocent village girl saw him in his emaciated, ascetic state, and offered him food. She felt compassion for him and it was that act of compassion that in part created the conditions and causes for the Buddha to sit under the Bodhi tree and to abandon the, can we say, dead end of asceticism. Now any of my friends from the Buddhist world, please peer-review me and correct me. ** And note that this does not mean I doubt the realization of any of the authentic masters I myself have come into contact with. The point is, at the end of the day we, ourselves, have to become enlightened. There are no saviors. So rather than doubting Masters, we rather cease to see the Master as someone who can “enlighten us.” We have to enlighten us. Because of this, if I am a student, then I care about lineage because it is kind of the footnotes in a paper written by a scientist. The lineage is the reference point, the confirmation if I’m seeking to learn that I’m connecting with something that’s not a dead end, so I don’t end up spending time on something like Aestheticism which may end up leading me to a goal which does not enlighten me. The risk seems to be that you could close off your mind to other inputs in the fractal, to cease Divergent Thinking. There’s a chance you could become lost in your projections and just fall unconsciously into fractal upon fractal, dogmatically insisting that reality is this way or that and that your thinking is not to be tested because *you know* – the Master told you so. This I actually see as a very big risk. So back to testing these assumptions. Could it be that a Master might not be recognizable? Beings already do not recognize enlightenment, so therefore it is probably they will not recognize a Master. This realization not necessarily coming easily, but through practice. There are stories of beings whose minds were so ripened that when they but practiced one mantra they achieved enlightenment. Only thing is, the cause and condition was created in previous lifetimes. We could say “Hey – but there might just be someone with that propensity! They were born with a superior tendency, born genius, whatever!” However, I’d argue back that the being actually was subject to the causes and conditions that lead to such a circumstance and, even if you do not believe in actual reincarnation, you can see that such a thread, such links-to-links, might stretch back to *other* lives upon lives. Realization must be based on experience and feedback loops. The Buddha himself had feedback loops and experiences under the Bodhi Tree. Mara tried every possible way to test the Buddha’s realization. After achieving mastery, I believe the Master must teach. Teaching becomes the practice and the way the mastery can grow. Why? Because when you teach, you are reviewed. You may only be reviewed by your students, instead of by other masters. But you are reviewed. And then – why can’t students actually become peers in an odd way? When you make mistakes and you become aware of it via having students, then you can continue. What I’ve just concluded, my “aha” from this thread, is that in fact Mastery itself may be a fractal, not an end point. Then the question becomes – but do I therefore doubt my Buddhist Masters? The answer is “No way!” because they’ve gone farther into the fractal than I have – or maybe – they’ve had more View of seeing it is a fractal than I have. I just can’t think that they’ll save me. Does this bring the Refuge Vow into doubt? In this vow you might recite “I rely on you; I have no other hope or refuge apart from you.” I would say not because that “you” is really the enlightened nature, the mind that is turned inwardly, seeing its own true nature. This is one reason why His Holiness the Dalai Lama prostrates to the Dharma chair before he sits in it. He is prostrating to all the causes and conditions that lead him to sit in this chair and teach us. He is recognizing the fractal. He is reminding himself of the earth, the ground, in the same way as the Buddha touched the ground when Mara tried so hard to distract him. He is respecting the Master who has *done* something. In any case, while I started this thread, Nedup started asking me the meaning of “Contradiction” – just as I was thinking about this very point. I explained it to him in terms he’d understand from his study, that is, in terms of Debate and Logic. He gave the example in monastic debate in which someone might say “the cup is white” and the opposing debater might argue that the cup is not really white but appears white – and so that being an example of contradiction. The trouble comes in when we’re so attached to the notion that it *is white* that we suddenly want to kill over it. Why would we want to kill someone who does not think the same way we do? My practical experience shows that people become very grumbly and argumentative about how you do things. As a result, *this* becomes the challenge when you are trying to experiment with Agile framework techniques. It isn’t what we’re used to. It isn’t what’s safe. I think this is why teams Norm and Storm before they Perform. In the same way, people who have subscribed to a methodology or religion feel they have a set of rules by which they can guide their lives and by which they can understand reality. It must be very disconcerting to have those rules tested and challenged because then we’d have to think that the way we’ve been living our very lives might not be… correct. On top of that, we might have chosen our Master and we might feel that the person testing our framework is trying to make themselves our master – impose their taste in music on our ears. They want us to like it, but we don’t. So how to achieve this flexible mind? How to become willing to listen to someone else’s music? As i’ve been writing about elsehwere here, I think it may get back to the fractal. The framework the person is communicating may not be necessarily “wrong” but the skillful means for a set of circumstances, for a set of causes and conditions. In Buddhism we say the Buddha taught ways to enlightenment according to the needs of beings, according to what they are ready to hear within their own circumstances. Perhaps seeing in this way we too can have flexible mind.